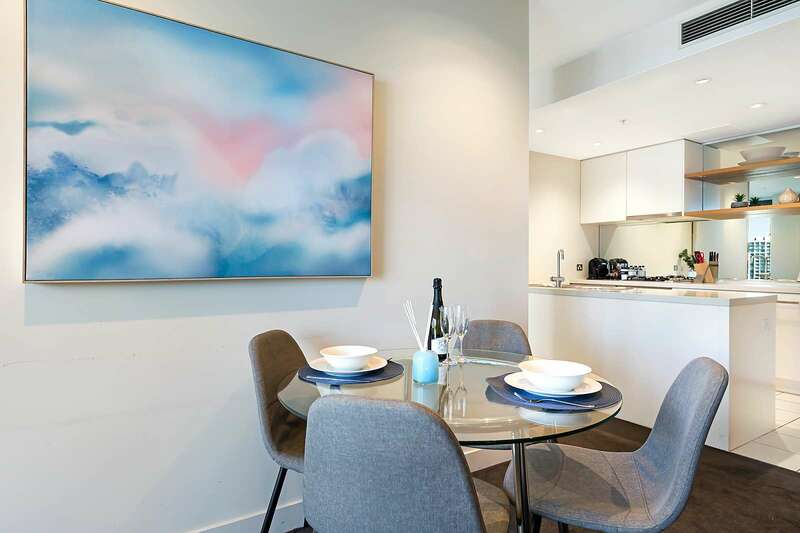 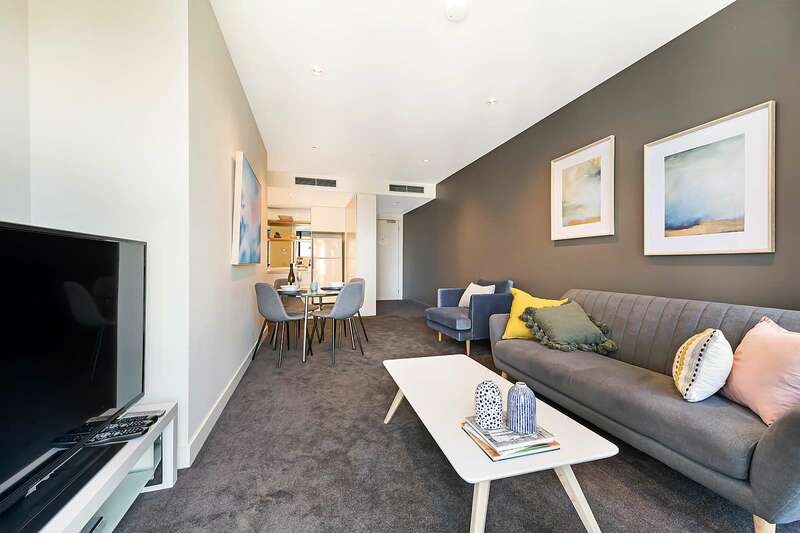 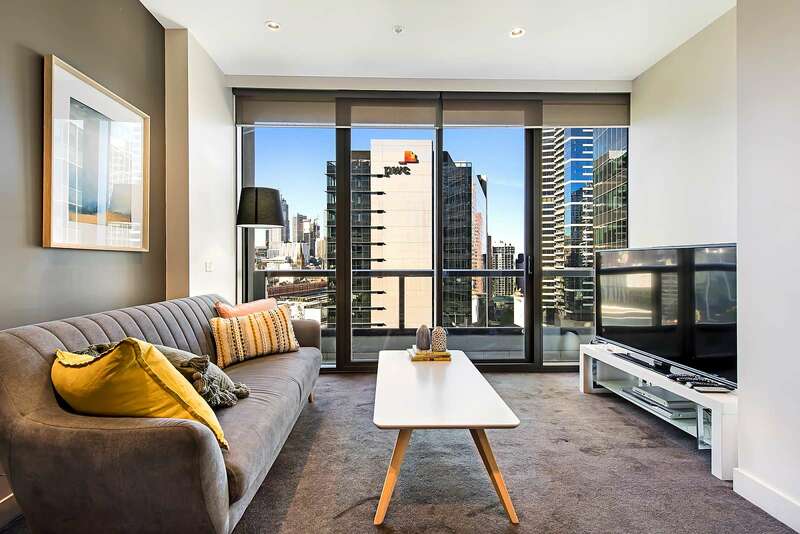 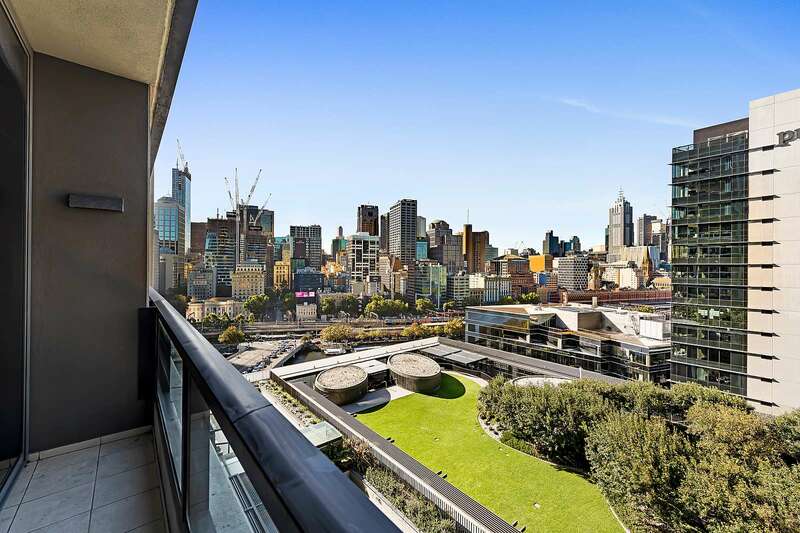 Enjoy comfortable executive living in this light-filled one-bedroom apartment with city views and a balcony, set in an exclusive security complex in the heart of vibrant Southbank with easy access to all Melbourne CBD has to offer. 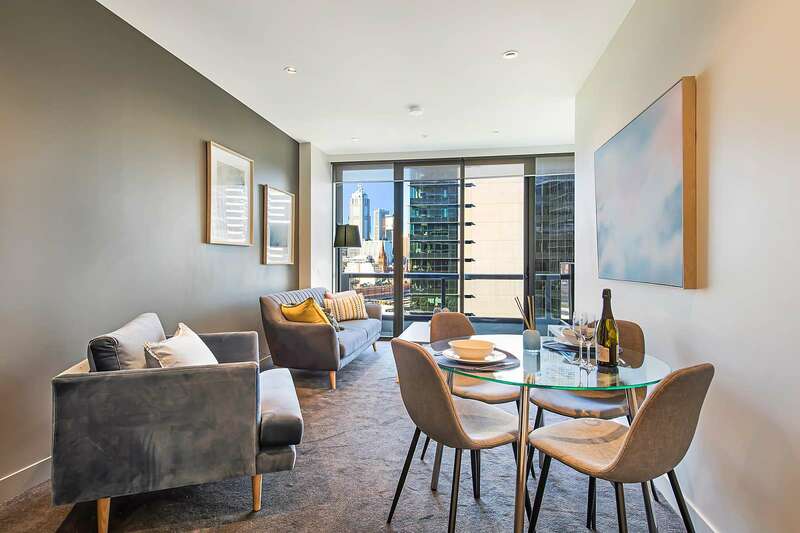 The carpeted living/dining room features bright city skyline views and opens onto a balcony where you can relax after a busy day’s work as the city lights up in front of your eyes. 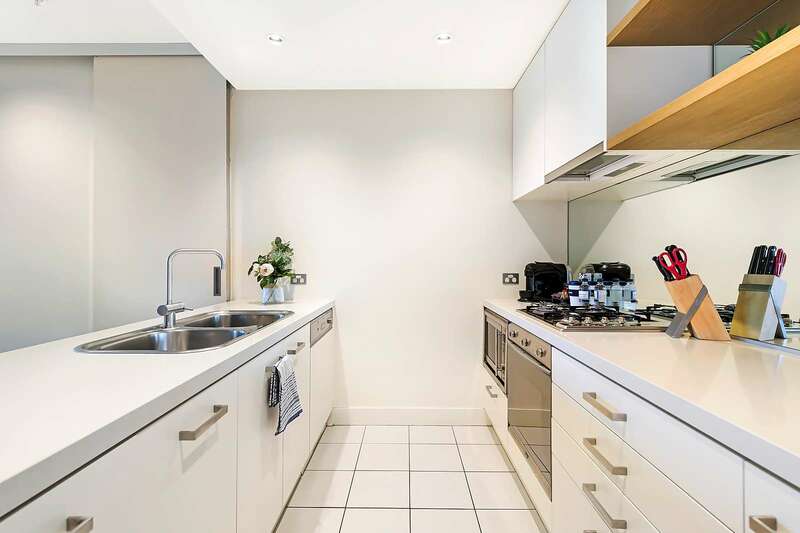 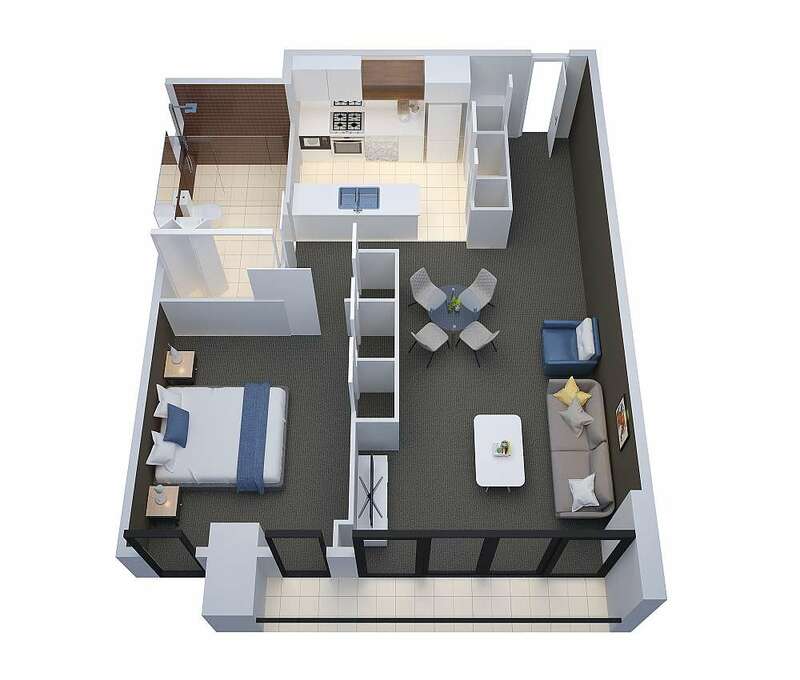 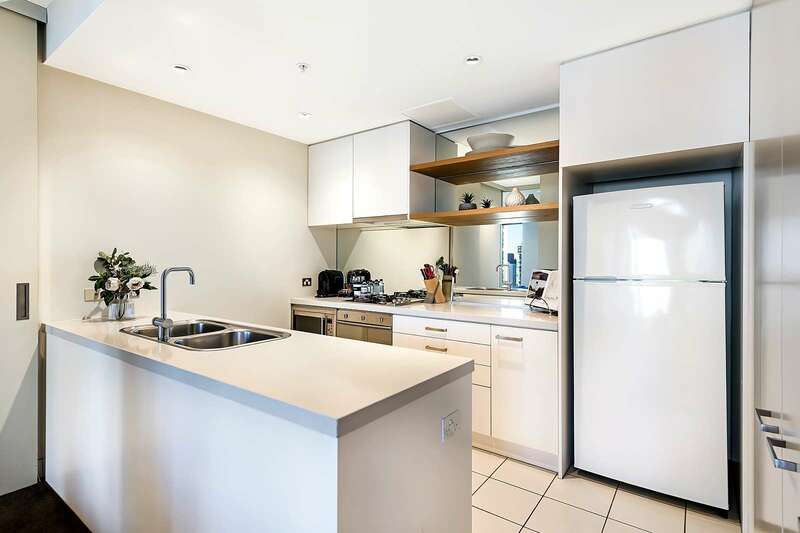 The full-sized kitchen will delight the enthusiastic chef with all the quality appointments you’re used to at home, including stainless steel appliances, gas cooking, stylish white stone bench tops, breakfast bar and ample cupboard space. 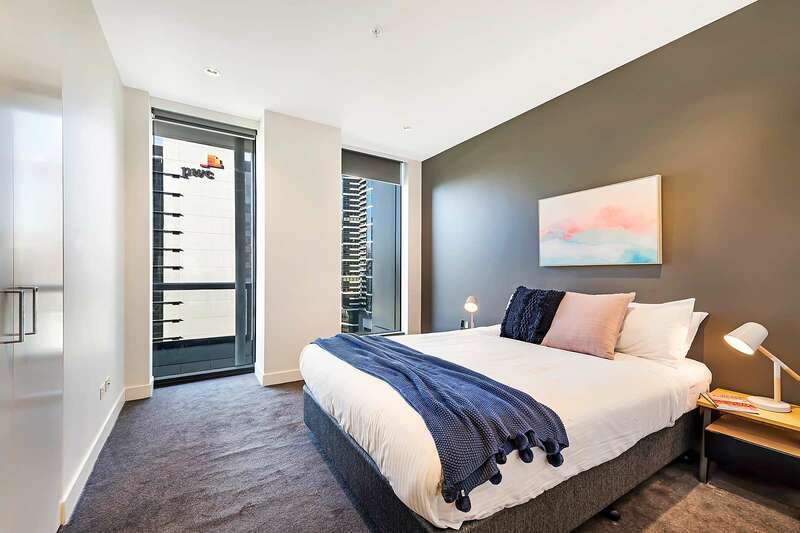 The generous master bedroom also offers uninterrupted city views and comes with a private workspace when you need to burn the midnight oil. 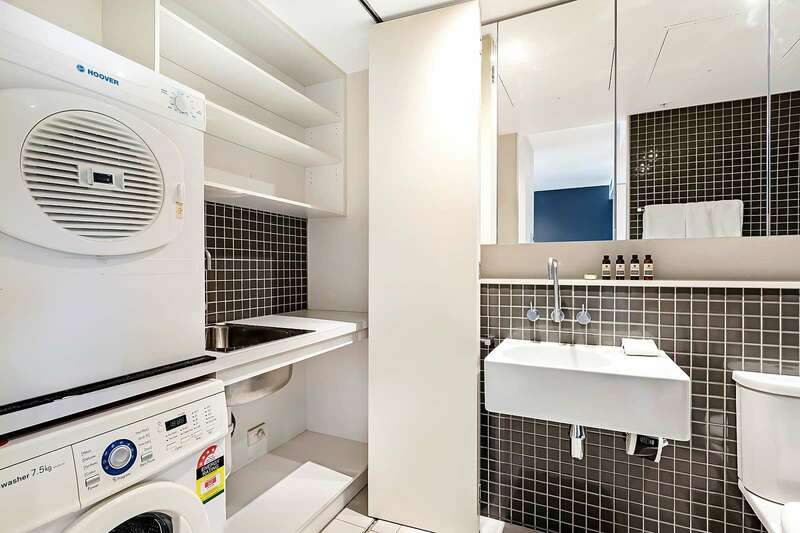 Two built-in robes also add convenience. 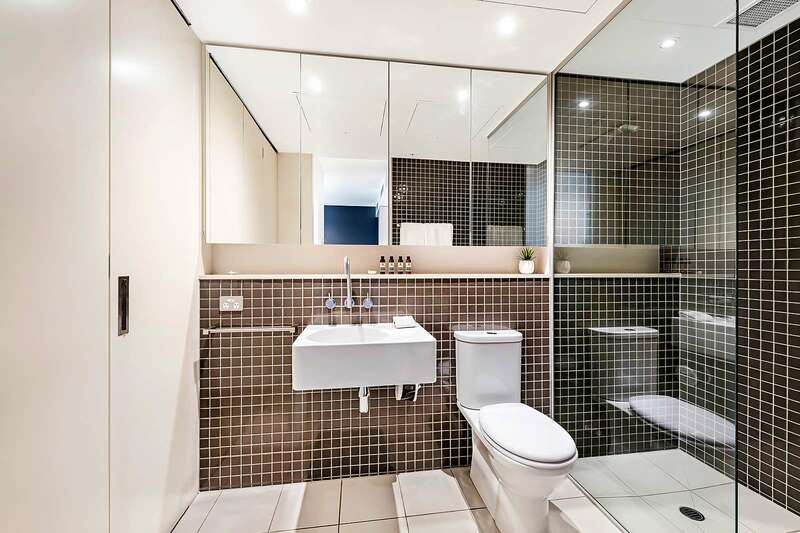 The stylish main bathroom with discrete European-style internal laundry features a frameless glass shower, floor-to-ceiling tiles and modern wall-hung vanity.